This is an actual elbow from the Terminator endoskeleton. It is made of solid aluminum, and has two moving parts. 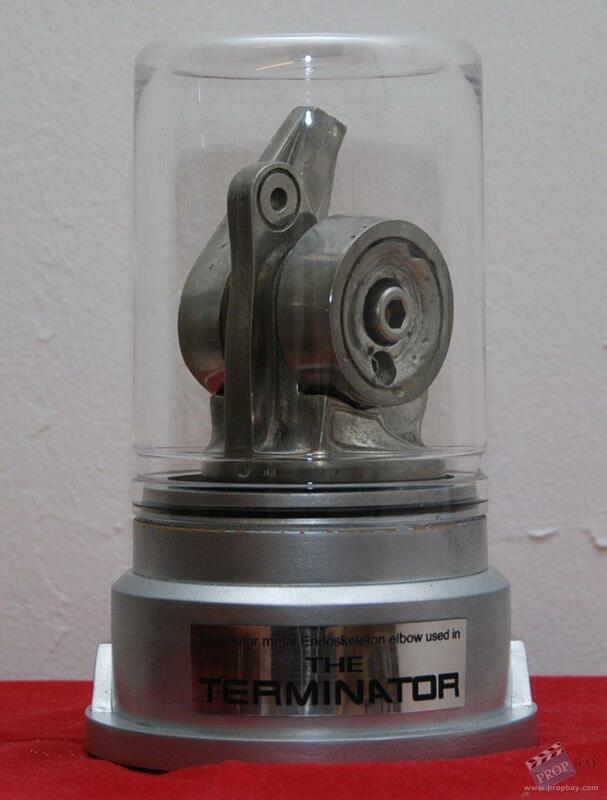 Both of the moving parts have the ends broken off, so it is thought that this was probably one of the pieces that was used in the exciting climax when Sarah crushed the entire Terminator. Mounted on customised stand. Added: 04-19-2013 - Viewed: 1637 times.